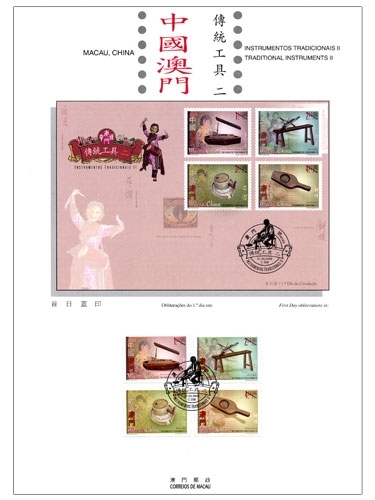 The stamp designer for this issue is Mr. Wilson Chi Ian Lam, and the text for the information brochure is written by Mr. Choi San. 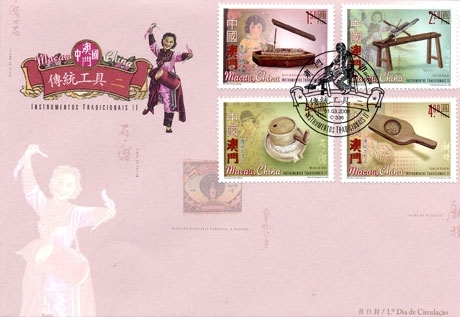 This is the fourth issue in 2009. 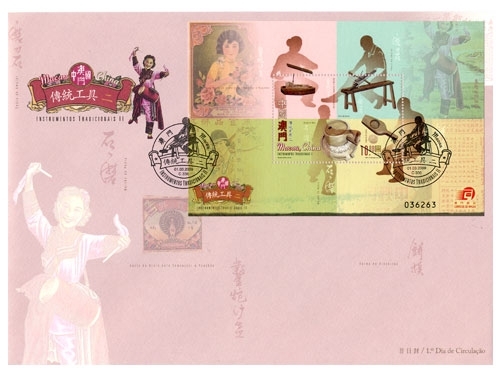 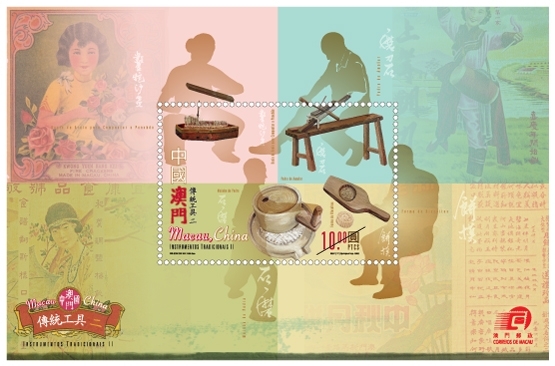 The issued stamps are as “Bicentenary of the Birth of Louis Braille” on 04/01/2009; “Lunar Year of the Ox” on 08/01/2009 and “Opening of Kun Iam Treasury” on 20/02/2009. 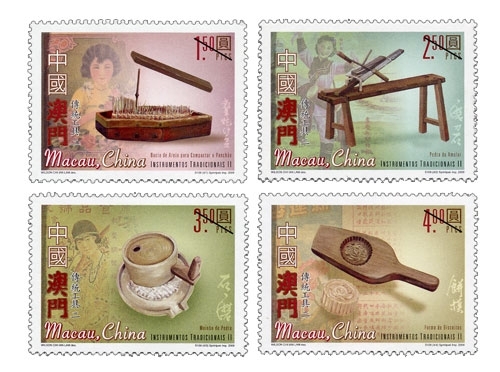 Technical Data of Stamp "Traditional Instruments II"
To celebrate the 125th Anniversary of Macao Post, Macao Post announced that a Temporary Post Counter will be set up at our Philately Shop located at Macao Post Headquarters and the Communications Museum on 1st March 2009 providing the commemorative postmark cancellation service for the “125th Anniversary of Macao Post”. 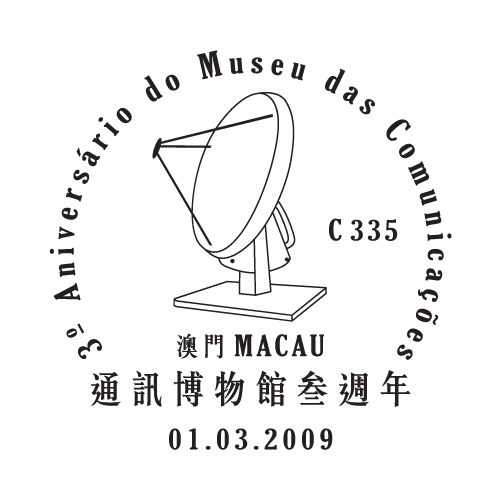 To celebrate the 3rd Anniversary of Communications Museum, Macao Post announced that a Temporary Post Counter will be set up at our Philately Shop located at Macao Post Headquarters and the Communications Museum on 1st March 2009 providing the commemorative postmark cancellation service for the “3rd Anniversary of Communications Museum”. 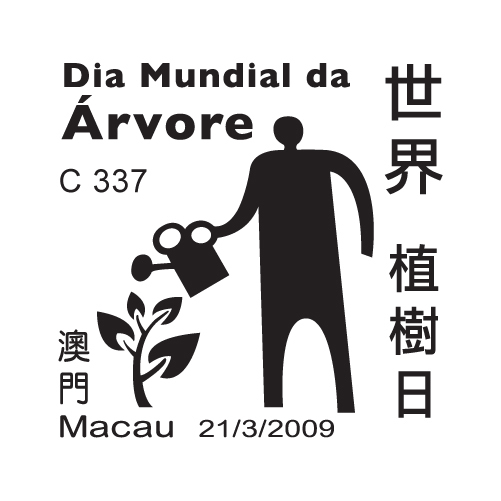 To celebrate the World Forest Day, Macao Post announced that a Temporary Post Counter will be set up at Senado Square, at 9H00 to 17H30 on 21st March 2009 providing the commemorative postmark cancellation service for the “World Forest Day”. 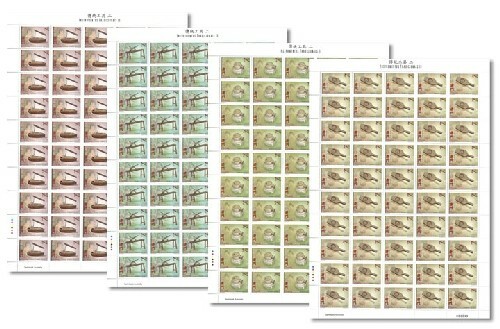 Besides, Macao Post will distribute the above-mentioned envelope on 5th to 20th March 2009 at Macao Post Headquarters and all post offices. 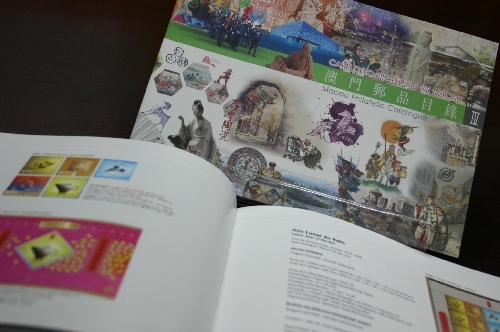 Following the third edition of “Macao Philatelic Catalogue” issued on 2007, the fourth edition has also been well-printed. 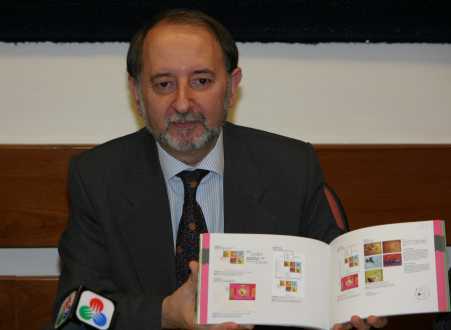 Continuing the previous edition’s format, it covers well-organized text providing comprehensive background information on all philatelic products issued from 2007 to 2008. 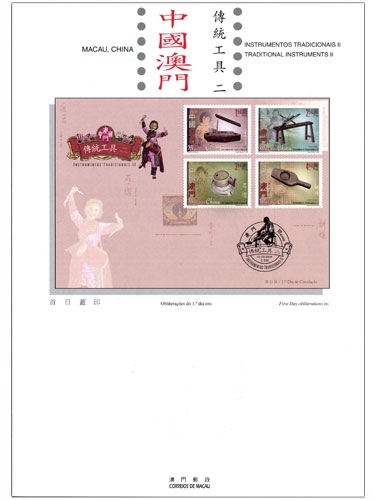 The “Macao Philatelic Catalogue IV” is priced at MOP60.00. 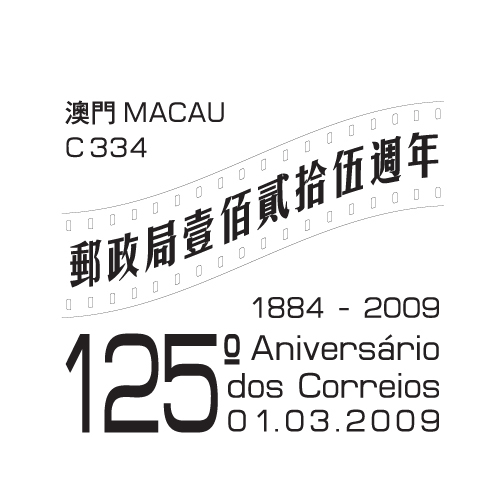 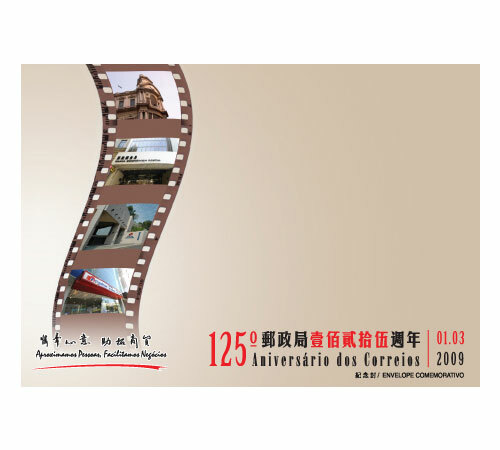 It will be available for sale at the Philatelic Shop of Macao Post Headquarters, “Rua do Campo” Post Office, Maritime Ferry Terminal Post Office, Airport Post Office, and the Communications Museum, starting from 1st March 2009. 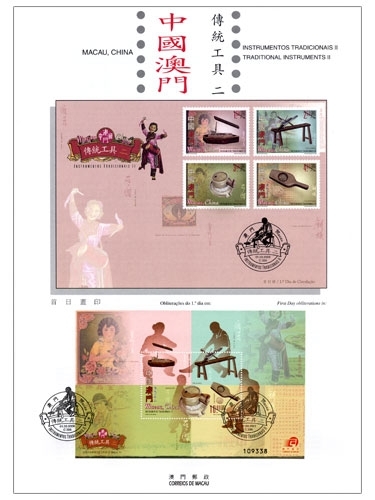 The released editions include: “Macao Philatelic Catalogue I” covers information of all philatelic products issued from the day of the establishment of the MSAR to 2002, priced at MOP38.00; “Macao Philatelic Catalogue II” covers information of all issues from 2003 to 2004, priced at MOP38.00; and “Macao Philatelic Catalogue III” covers information of all issues from 2005 to 2006, priced at MOP45.00.